Bovine viral diarrhea virus (BVDV) is a worldwide spreading pestivirus affecting cattle and other ruminants; however, there have been few reports on epidemiologic investigation of BVDV in eastern China. In this study, bulk tank milk from 36 herds of dairy cattle in eastern China was submitted to serological investigations, 77.8% of herds was BVDV antibody positive. Individual animal status in two herds was further investigated collecting blood samples, the positive ratio was 49.74% and 24.64%, and the average positive ratio of calves, heifers, and lactating cows was 15.94%, 40.16%, and 41.7%, respectively. Moreover, clinical survey was carried out among 8170 dairy cattle from 36 herds, for diarrhea syndrome, respiratory problems and reproductive failure, and pathogens of all clinical cattle were further investigated. The results showed that BVDV was one of the main pathogen, which infected animals combining with various other viruses. Then, nine BVDV strains were isolated; phylogenetic analysis showed that BVDV subtypes currently circulating in eastern China were BVDV 1a and BVDV 1c. In addition, out of 377 cows tested, the 1.86% detected positive to the BVDV antigen. This study provided the foundation of further study on vaccination and control strategies of BVDV in eastern China. This work was partially supported by grants from the Shandong province Key R & D program Fund (2018GNC113011), National Natural Science Fund of China (31872490, 31672556, 31502064), National key R & D plan Fund (2018YFD0501605-06), Taishan Scholar and Distinguished Experts (H. H.). Experimental protocols for obtaining cattle acute-phase blood and tissue samples used in this study were carried out in strict accordance with China law on use of animal on research and all procedures were approved by the Shandong Normal University Animal Care and Use Committee. Aragaw, K., Sibhat, B., Ayelet, G., Skjerve, E., Gebremedhin, E.Z., Asmare K., 2018. Seroprevalence and factors associated with bovine viral diarrhea virus (BVDV) infection in dairy cattle in three milksheds in Ethiopia. 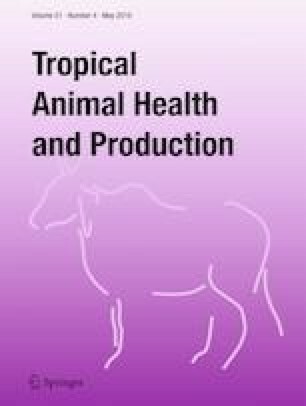 Tropical animal health and production, https://doi.org/10.1007/s11250-018-1624-5.